The color purple tried to kill me this week. Most of the time when we put ourselves in dangerous situations we are painfully oblivious to the harm that could come to us. I was given the opportunity to work on some decorations this week. I do not consider myself a crafty individual–but if I envision this activity more like “set construction” I feel competent. I wielded such tools as: a hot knife foam cutter, razor blades, box cutters…a butcher knife…and a paint brush. Who would have guessed that among tools like these that the most hazardous would be the dreaded paint brush? Perhaps I should not blame the paint brush. The paint brush was really only dangerous when it was covered in deadly purple paint. Okay–so maybe I shouldn’t even blame the paint…it was my fault that the paint became a heinous instrument of death. As I opened the paint can I could tell it would take quite a bit of mixing to reach its optimal color, a deep purple hue. A perfect color for the weird regal tree I was painting. Instead of using a paint roller, I decided to use a paint brush…instead of pouring out just what I needed I decided to dip right into the can. The large Styrofoam tree was carefully laid out on top of a tarp on the floor of the room. I painted and carried the paint can around with me dipping for fresh color between broad strokes of genius. As I hovered over the top of the paint can and tree-shaped foam canvas my head began to feel heavy. I thought surely that the poor posture of looking down to paint was pulling my neck in such a way that it was straining my brain…so I sat down my paint and laid down flat on the cold tile floor. This was after I had painted approximately 1/4 of the weird tree. I expressed concern that I had done something to my neck and was getting a headache. I laid there next to the purple tree. Staring up at the ceiling which seemed at least 100 feet away, it felt as though my brain was swelling. Again, I just thought this was due to the angle of my neck while painting. I watched as someone brought in some cardboard, helping with that seemed absolutely impossible. So I just sat there until I felt like I needed to get busy painting again. I fought through that weird headache because I really wanted to get that tree finished. After I had the tree mostly painted I decided to take a break. I walked away a little more than confused as to why my brain felt like it was trying to escape to confines of my skull. When I walked back into the room I was very aware of an overpowering paint smell. 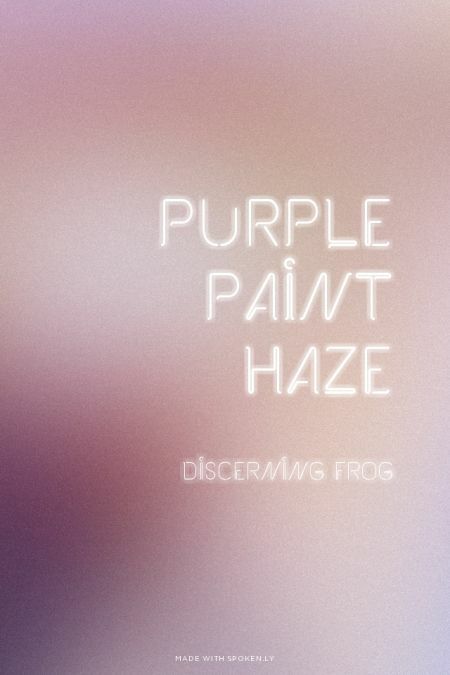 As I walked closer and closer to my precious purple paint can I began to realize what evil had descended upon my brain like a blinding purple haze. I don’t know why it took so long for me to realize that I was breathing noxious fumes very heavily…if the boiling a frog metaphor were true I would fittingly be titled “chicken of the pond soup”. A few days later I was feeling anxious about something that I had to encounter. Prayer and study were my choice of preparation. My church has this neat little place near the sanctuary called “Chapel of the Clouds” after praying with the most amazing church secretary I sat in there reading. 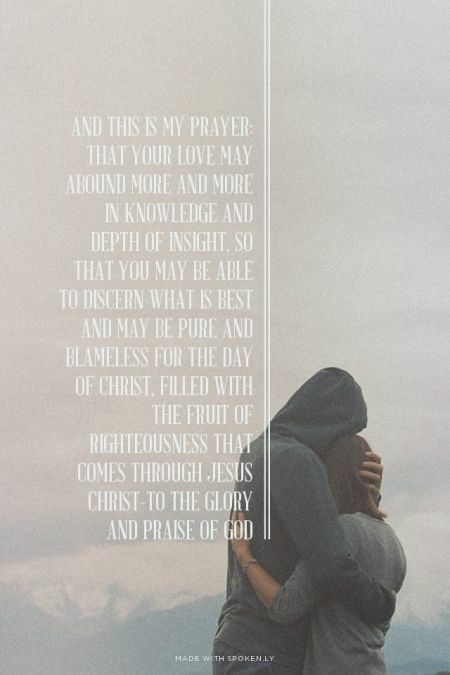 I read Ephesians silently…then I read it aloud. Then a passage from Philippians drew my eye. I must have read it aloud at least 15 times. By the time I had to address what was making me feel anxious I had an indescribable peace and the ability to discern what is best in the situation I was facing. This frog will not be boiled. I will not willfully place myself or others in stinky situations. Note: do not over-expose yourself to paint fumes…that’s bad m’kay. Like for real–I’m feeling less smart.